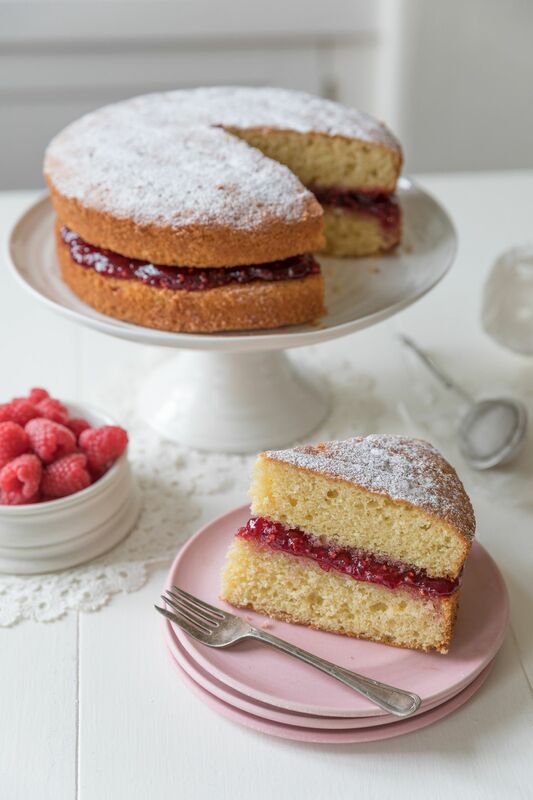 Doves Farm has shared three classic tea recipes for Victoria Sponge Sandwich, Lemon Drizzle Cake and Wholemeal Scones served with Rhubarb Jam Compote. Afternoon tea is a true British icon, which makes Doves Farm the perfect baking partner for the occasion. Founded in 1978, the British, family-owned organic flour and food producer celebrates 40 years of baking brilliance this year. 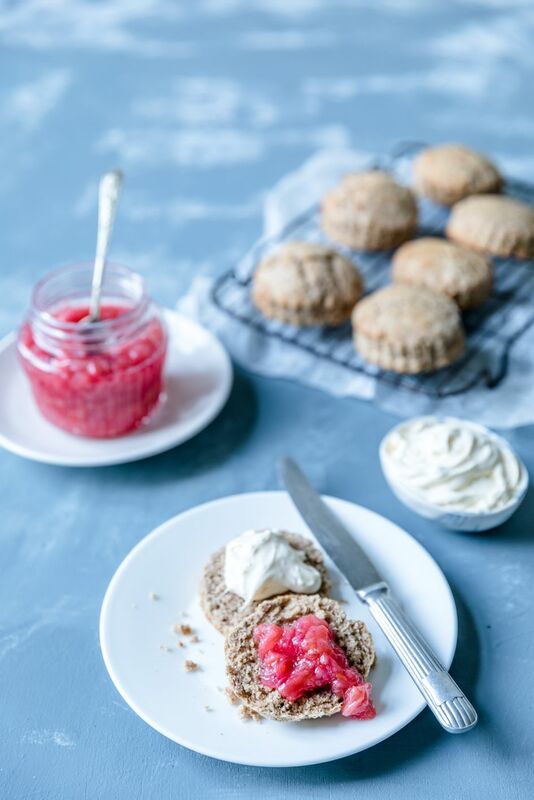 So this Afternoon Tea Week why not give these Doves Farm recipes a try and bake the classics, with a classic. Bake in a pre-heated oven for 25-30 minutes. 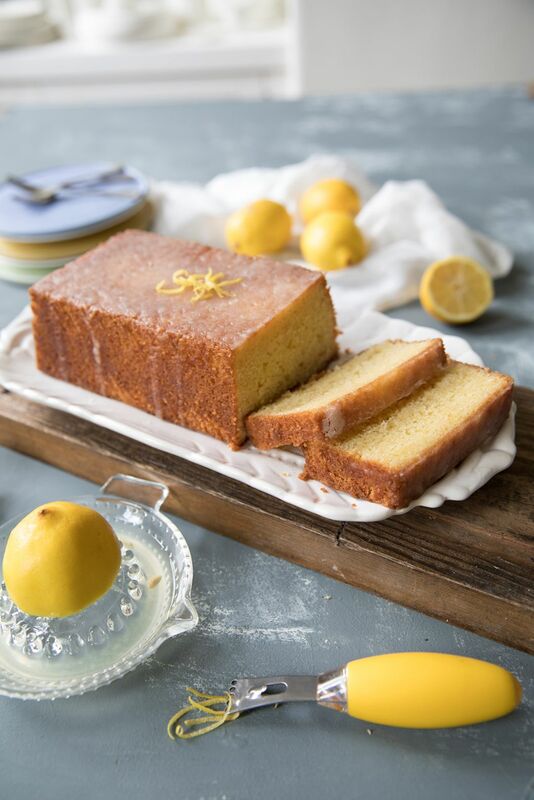 If a cocktail stick pressed into the center of the cake comes out clean, it is cooked. Squeeze the lemon juice into a jug, add water if necesasry to make it up to 75ml and set this aside for the syrup. Tip the mixture into the prepared loaf tini and smooth the top. Bake for 40-45 mintues until cooke. Leave the cake in it's tin. Put the sugar into a saucepan, pour on the reserved jug of lemon juice and bring to the boil shaking the pan accassionally. Simmer gently for 2 minutes to make a syrup. Prick all over the syrface of the warm cake with a BBQ stick or skewer, pressing right through to the base of the cake. Pour the syrup all over the surface of the cake and leave to cool in the tin. Place a chopping board over the cold cake tin and invert it onto the baors. Remove the parchment paper. Measure the sugar into a bowl, add he lomon juice and stir to make the drizzle. Pour the drizzle over the top of the cake and spred it around the sides of the cake with a knife. Sieve the flour and baking powder into a bowl, add he sugar and blend together well. Add the butter to the bowl and using a fork, blend everything together until the ,ixture resembles fine breadcrumbs. Lightly dust the worktop with flour, place the doug in the middle and flatten it to 3cm/1" with your hands. Press a round pasty cutter or upturned coffee cip into the dough to cut out circles. Wash, dry and slice the rhubarb into 3cm/1" lengths. Put the rhubarb, sugar, orange zest and juice into a saucepan over a medium heat. Boil, stirring occasionaly for 20-25 minutes until the jam compote starts to thicken. Pour the jam compote into a warm sterilised jar.